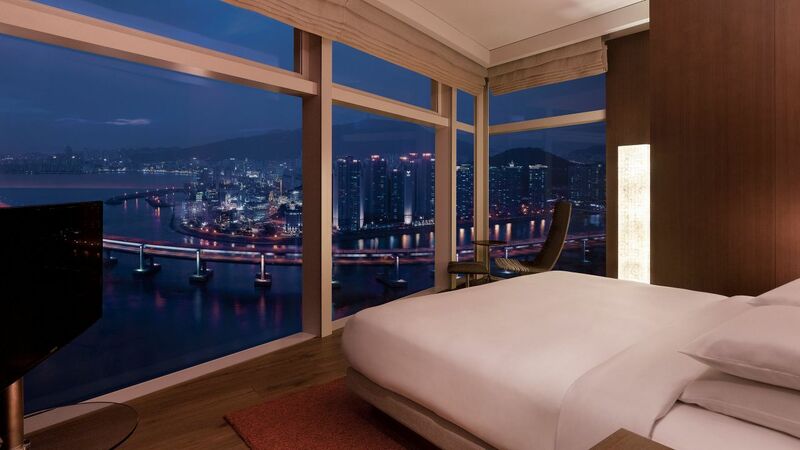 Park Hyatt Busan offers 269 guestrooms, including 69 suites. On stepping into a guestroom decorated with beige-toned wood, visitors can appreciate the inspiring view of the ocean through floor-to-ceiling windows. Spacious bathrooms with rain showers and bathtubs with custom Le Labo® products further enhance the comfort of guests. 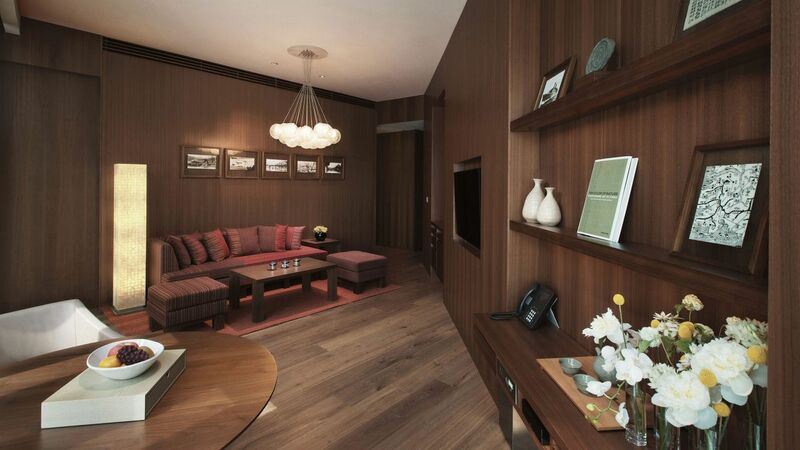 Enjoy our elegant suites featuring additional space, such as separate dining and sitting areas. 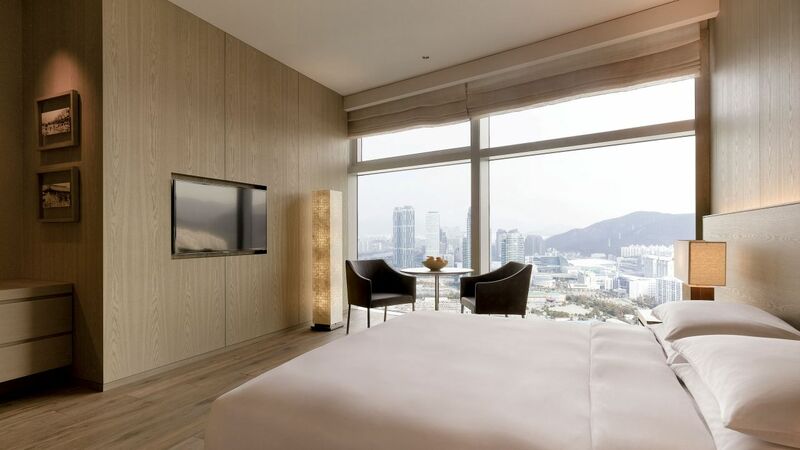 Amenities are located throughout the guestroom, allowing you to experience true comforts during your time at Park Hyatt Busan. 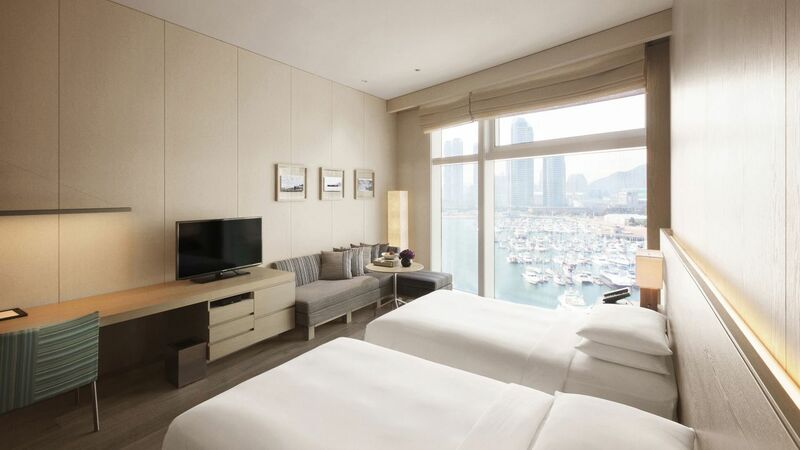 Featuring the Busan City and the partial marina views, this 81½-sq-m standard suite room comes specially appointed with one queen bed and one single bed and has a spacious bathroom with a bathtub and a separate lounge area with a dining table. This is a standard suite. See World of Hyatt program terms for upgrade eligibility. 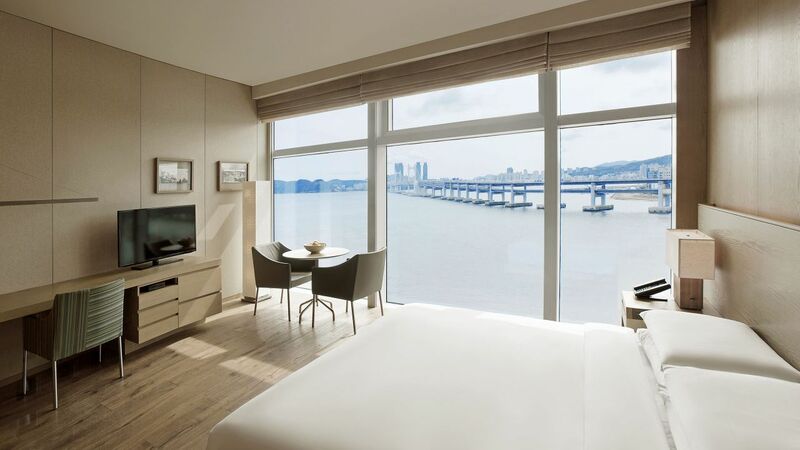 Designed specifically for families, this 77-sq-m suite lets your family and friends indulge themselves with one queen bed and one single bed and a separate living room, along with stunning views of the ocean and Gwangan Bridge through floor-to-ceiling windows. This is a premium suite. See World of Hyatt program terms for upgrade eligibility. Wraparound views of Haeundae ocean’s amazing views over Gwangan Bridge and the yacht marina surround this 67-sq-m corner suite. A well-appointed living area and a bedroom with one king bed create a unique experience to bring you real relaxation. This residential-style-suite is the most preferred for guests who want to have a small party with friends or a romantic night with a loved one. This is a standard suite. See World of Hyatt program terms for upgrade eligibility. 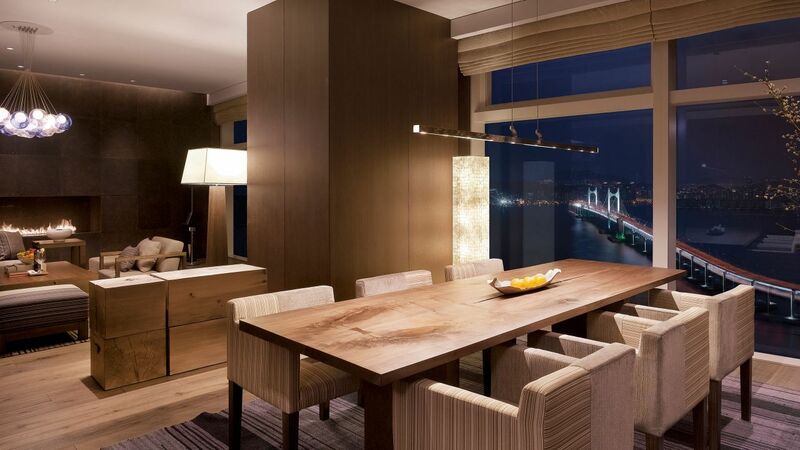 Overlooking the ocean and Gwangan Bridge, this 154-sq-m, 28th-floor luxury suite is an ideal place to host social events or dinner parties with your friends. Floor-to-ceiling windows surround a bedroom with one king bed, a separate living room and dining areas and a large bathroom. See World of Hyatt program terms for upgrade eligibility. 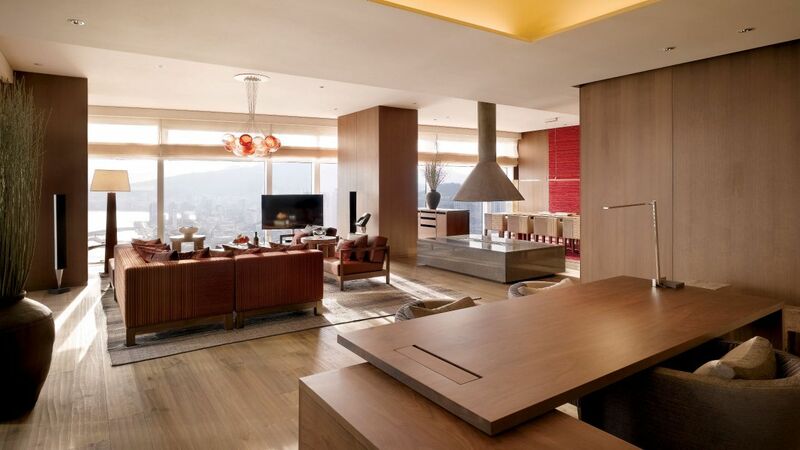 With unobstructed views of the ocean and Gwangan Bridge through floor-to-ceiling windows, unwind within a 154-sq-m, 27th-floor luxury suite that comes appointed with two twin beds, a separate living room with a fireplace and a dining area where it is able to host meetings or drinks with your friends. See World of Hyatt program terms for upgrade eligibility. 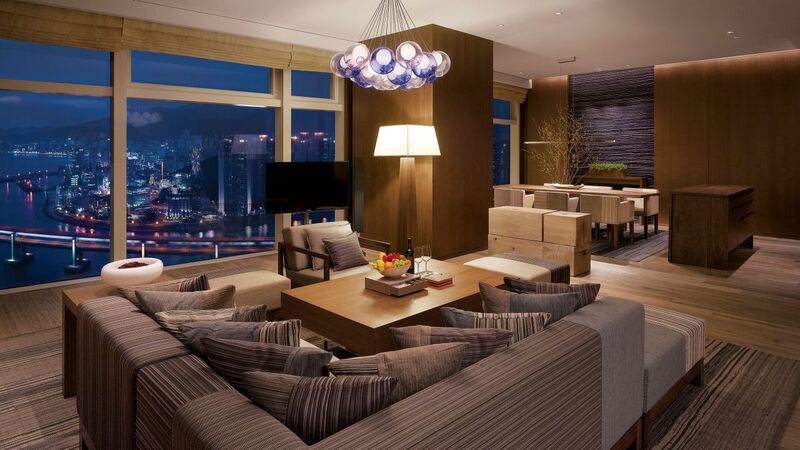 This 198-sq-m, 29th-floor VIP accommodation is guaranteed to create a rare experience. 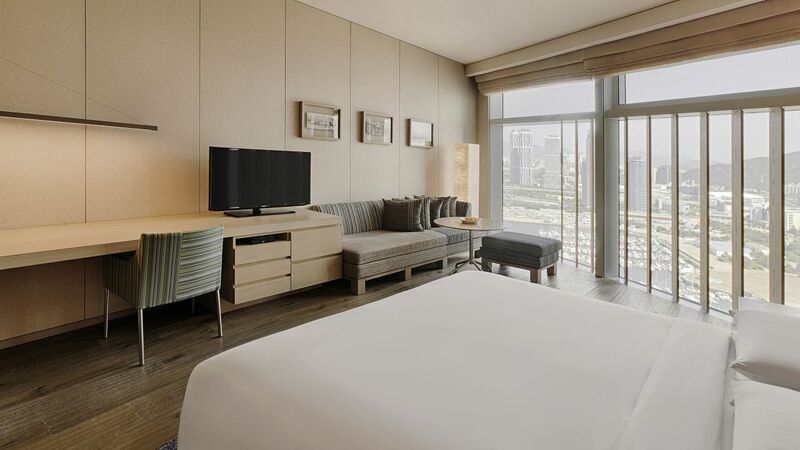 Relax in the bedroom with one king bed, indulge in the spa tub as you look onto the panoramic night views of the ocean over Gwangan Bridge through floor-to-ceiling windows, or host dinner parties in the special living and dining area with a fireplace. See World of Hyatt program terms for upgrade eligibility. Unwind in this 36-to-43-sq-m guestroom with one king bed, a spacious work desk, a couch seating area and contemporary furnishings. This standard room is perfect for business trips or sightseeing visits. Enjoy a 49½-sq-m guestroom with a wood and textile décor in warm beige tones, with one king bed and a dining table with seating for two. This marina-view room filled with sunshine from the floor-to-ceiling windows makes you feel like you are home away from home. This 48-sq-m marina-view room offers plenty of space for two with two super single beds, a sofa, a work desk and smartly designed bathroom and closet area. This is a perfect room for business or leisure guests. This ocean-view-room offers 41 sq m of space with one king bed and a dining table with seating for two and modern comforts. 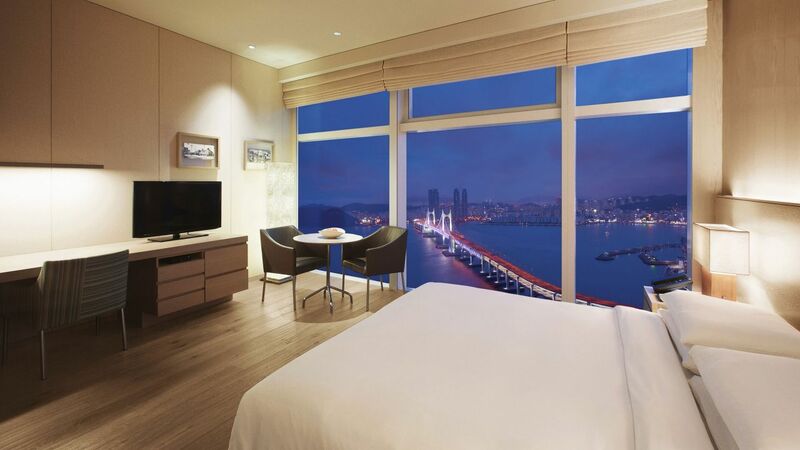 Enjoy stunning night views of Gwangan Bridge through floor-to-ceiling windows all lit up and spend a romantic night. This ocean-view-room offers 41 sq m of space with two super single beds, a spacious work desk, and contemporary furnishings and is suitable when on a sightseeing visit with friends. 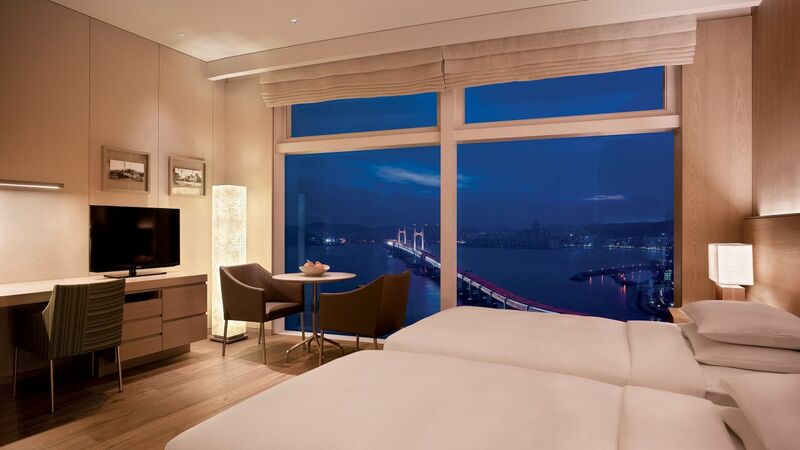 Enjoy fantastic night views of Gwangan Bridge through floor-to-ceiling windows all lit up and make unforgettable memories with your friend. These high-floor, ocean-view-rooms are located on the 17th through the 26th floors. 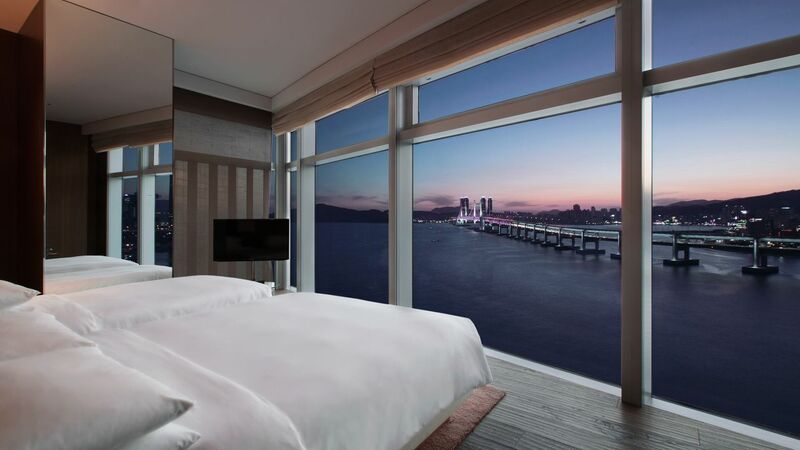 Featuring superior views of the ocean and Gwangan Bridge through floor-to-ceiling windows, each room offers 41 sq m of space with one king bed and contemporary furnishings and an unforgettable experience - like sleeping over the ocean. These high-floor, ocean-view rooms are located on the 17th through the 26th floors. 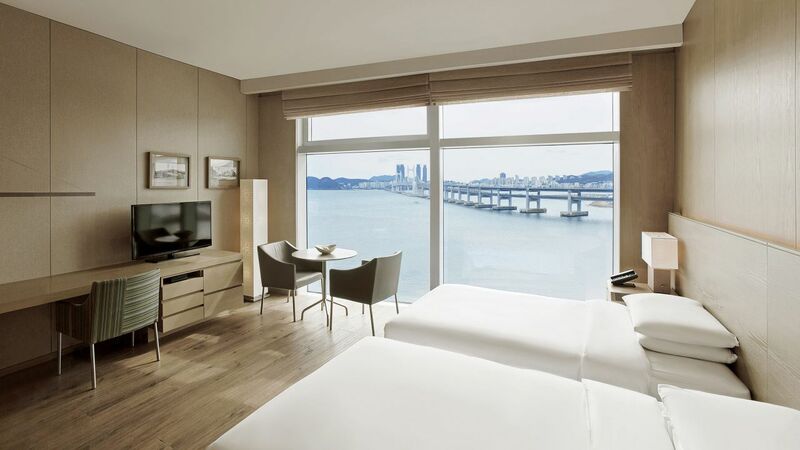 Each room offers 41 sq m of space with two super single beds and contemporary furnishings, along with superior views of the ocean and Gwangan Bridge through floor-to-ceiling windows for your perfect relaxation.